Throwing a party and want a cute treat bag to give away to the party guests? 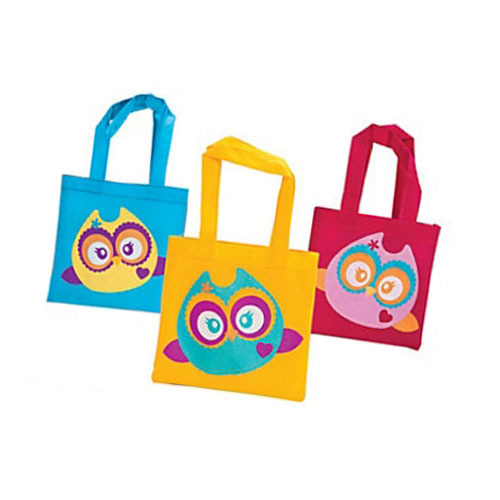 Grab these cute, mini owl tote bags; they will do the trick. Let the party guests leave with an easy way to carry treats and a memorable impression relived every time the reuse the little owl tote bags. Quantity: 12 Owl Tote Bags. Bags are 6x6" and open approximately 3" wide.